ISH recognizes the value of building and maintaining a strong community. Our residents, board and staff are committed to contributing to positive change on a local, national and international level. Therefore, it is with the spirit of our mission that ISH encourages our resident scholars to participate in outreach and volunteer activities such as assisting local social service agencies and other community organizations. 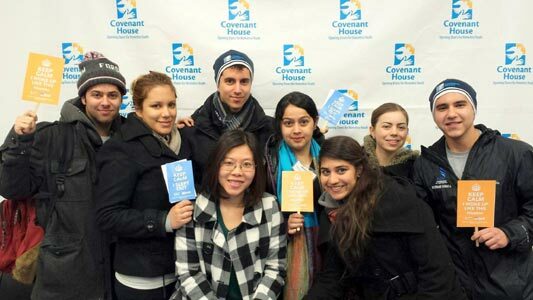 On the evening of March 21, a group of resident scholars from International Student House (ISH) of Washington, DC participated in “Young Professional Sleep Out” in support of Covenant House, a local DC charity that assists homeless youth. 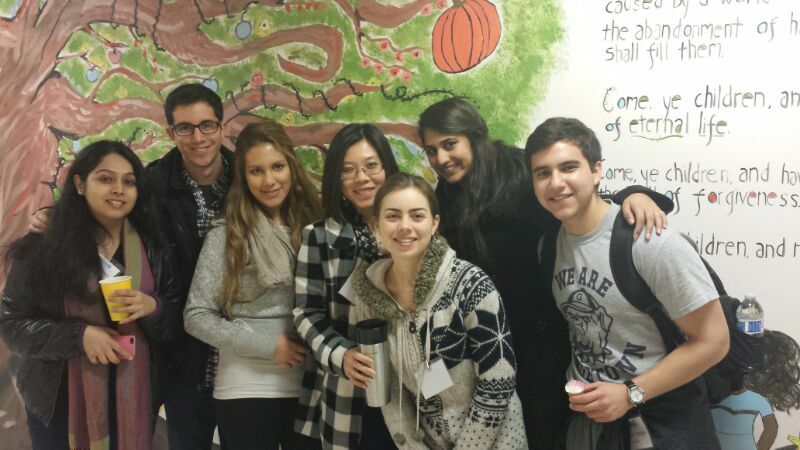 Nine residents from ISH formed a volunteer team to “sleep out so others don’t have to”. Covenant House is a non-profit organization that provides nourishing meals, bathing facilities, clean clothes, medical attention, and a safe place away from the dangers of the street to homeless youth ages 18-24. The evening began when the ISH residents joined other young professionals from throughout the DC metropolitan area outside of the shelter. After being provided with two sleeping bags each, they settled in for a long, cold night on the sidewalk. During the hours that followed, the volunteers shared dinner, exchanged stories, watched a talent show put on by the Covenant House youth, and ventured out on a bus ride through the neighborhoods where some of the youth were raised. Most of the volunteers were up until the very early hours of the morning, unable to sleep well due to the noise from traffic and the metro, and just trying to stay warm. Many of ISH’s residents come from countries where the concept of volunteerism is non-existent. ISH hopes to instill a spirit of social responsibility and to motivate our residents to improve the quality of life for disadvantaged individuals.